When her baby sister died, E lost the only sibling she had (at the time). She had watched my entire pregnancy progress and we had talked about the baby, who we then learned was a girl, who we then named Violet, who we then learned would die. It was a lot to process for my oldest girl who was about to turn two when she met and said goodbye to her baby sister. I have done so much research regarding grieving, both for myself and for my children. One thing that has helped us all is having resources at our finger tips to regularly visit and discuss our situation and how much we all miss Violet. I want to teach that death is a part of life and grief is normal. Along with books like We Were Gonna Have a Baby, But We Had an Angel Instead and I Miss You: A First Look at Death, I wanted E to have one specifically about herself and her sister. I used Shutterfly to write one about their relationship. 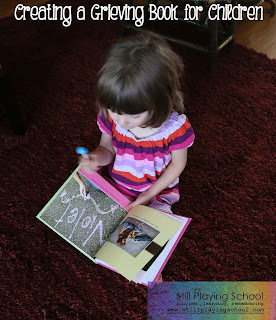 The words tell the story of how E couldn't wait to be a big sister while Violet was in Momma's tummy. There are photos of what we did as a family as we waited to meet her illustrating that we already loved her so much. 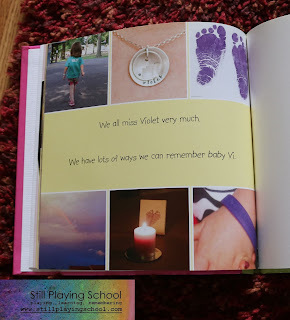 The book highlights E's time with Violet, starting with how V wanted to meet E first! I purposely wrote in the present tense that E is the big sister and V is the little, that E loves V and that V loves E. It is so important for her to feel her sister's love, even still. 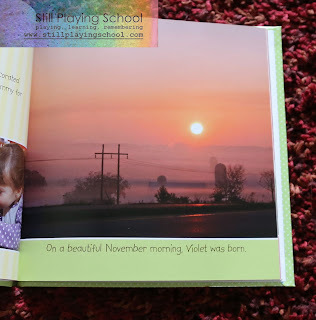 I don't write details specifically about what happened to Violet, but I end with a page about how we all miss her and can still remember her in many ways. E has internalized so much of this tough subject in her own way which is evident when she talks about Violet. Last week, she said she wished flowers would die so that her sister could enjoy them. Yesterday, she wrote her a note and asked me to send it to Violet. I won't pretend that it doesn't bring tears to my eyes every single time I read the book I made, but that's okay. 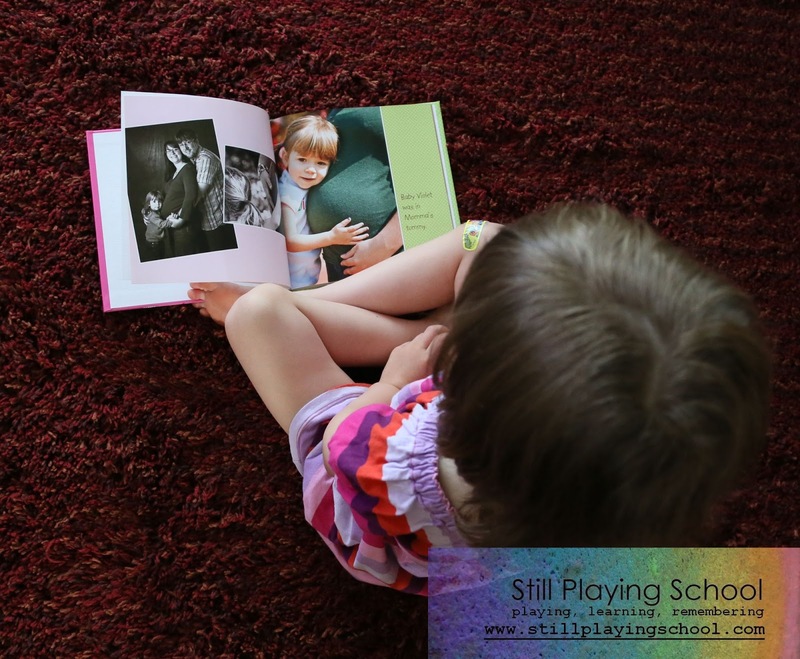 We are teaching E to visit grief in a regular way to decrease the times it builds up and surprises us. I have done something similar with my boys but with illustrations that they drew rather than photographs. A photo book of Eva's life would nice to have. I so often just don't have the energy to go there. What a lovely idea! And that's so sweet that E wanted flowers to die so that her baby sister could enjoy them. Okay....I cant stop crying. Thank you sO much for sharing your journey with such completeness and honesty. Our family tries to do the same, as we lost our son/little brother at age 14. We have been told that the transparency with which we tell our story helps others who are on their own pathway of grief. We do know for certain that continuing to talk about Isaiah brings more and more healing to us each time we do. Blessings on your beautiful family. Thank you so much, Laurie, for sharing both a piece of your heart and Isaiah with us! Love to you all!